Is it November already? Unbelievable. Well, our family had a fun Halloween. 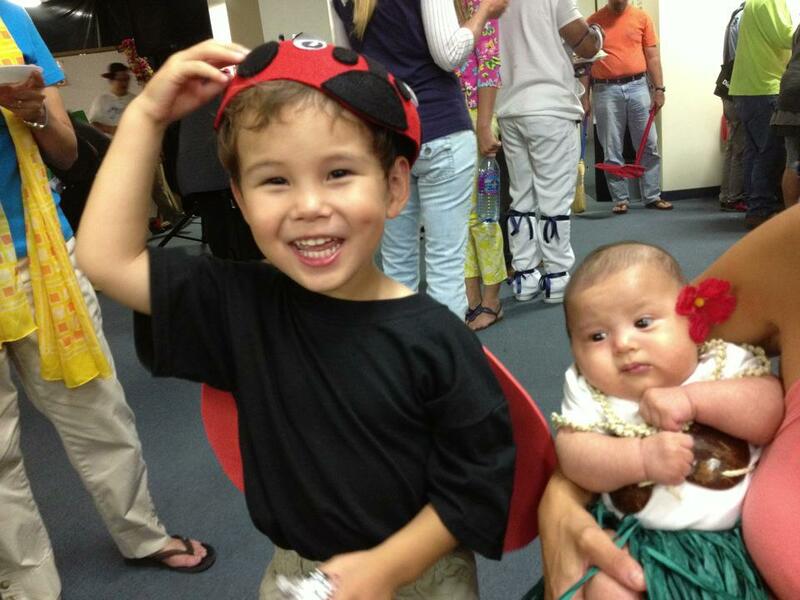 Aaron dressed up as a ladybug, and Alex was a hula girl. Steve and I forwent costumes, using the “two kids equals too tired” excuse. We went to a family-friendly carnival that had all sorts of fun – games, food, live music. Aaron got more candy than he’s ever seen in his life, and worked out his sugar-high in the bounce house. Later that night after the little folk were in bed, Steve and I helped protect our kid from all that processed sugar by rummaging through the loot and stealing the good stuff. Now that Halloween is past, bring on the next round of holiday madness. 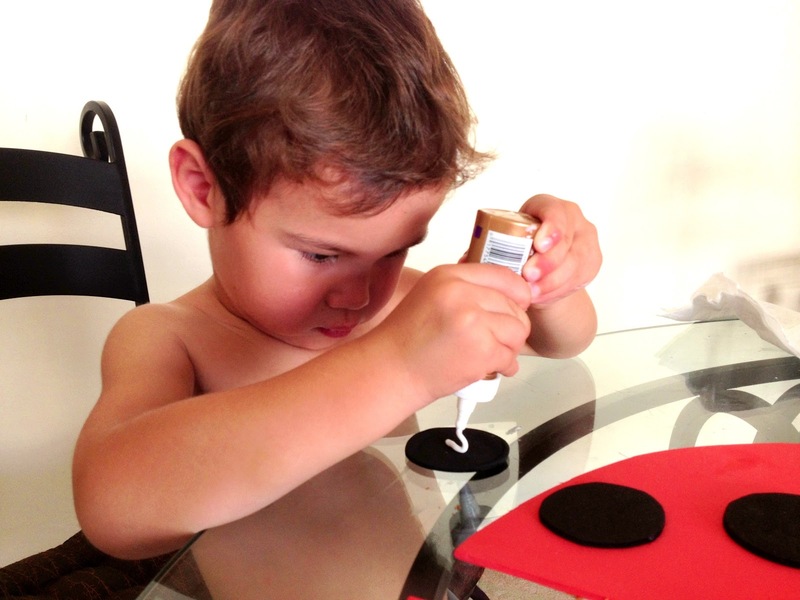 Aaron working hard on his costume. He wore the wings for a grand total of 7 minutes. 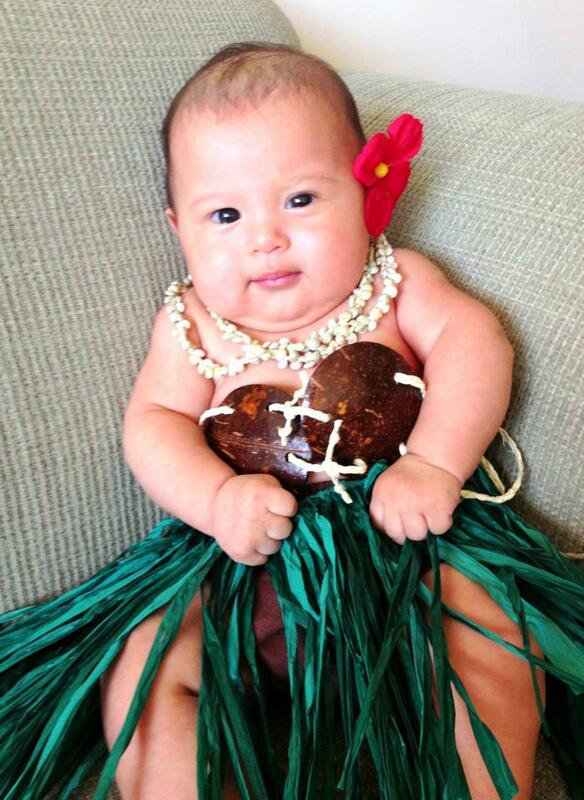 Our hula girl, appearing tortured by her coconut top.